It was my friend’s birthday on Saturday so I made some cupcakes to celebrate. 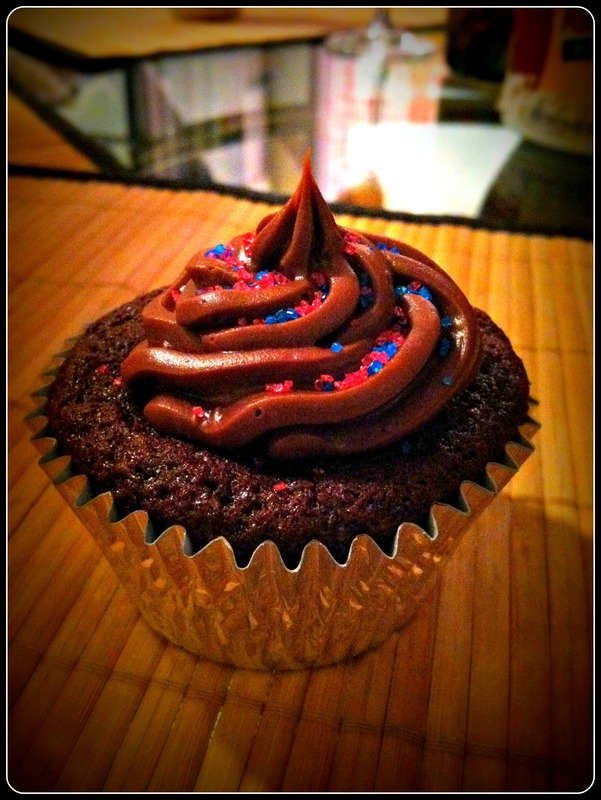 I decided to go with a chocolate cupcake. 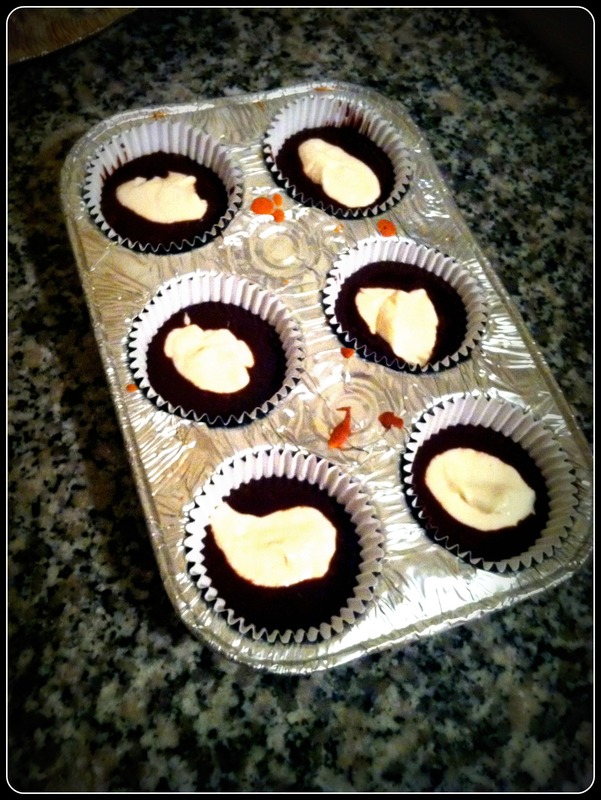 But just plain chocolate is boring…so I decided to try adding cream cheese. 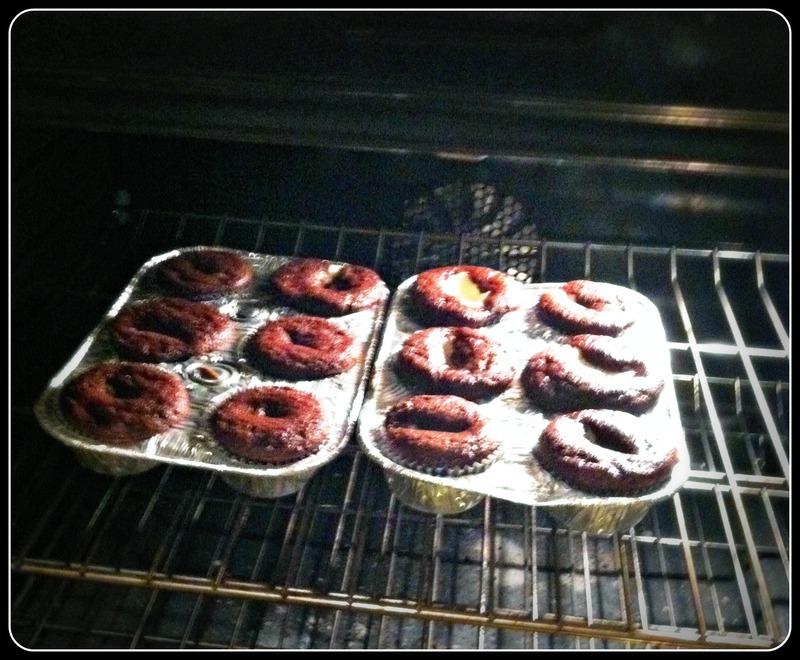 The end result is sort of a black-bottom cupcake creation. 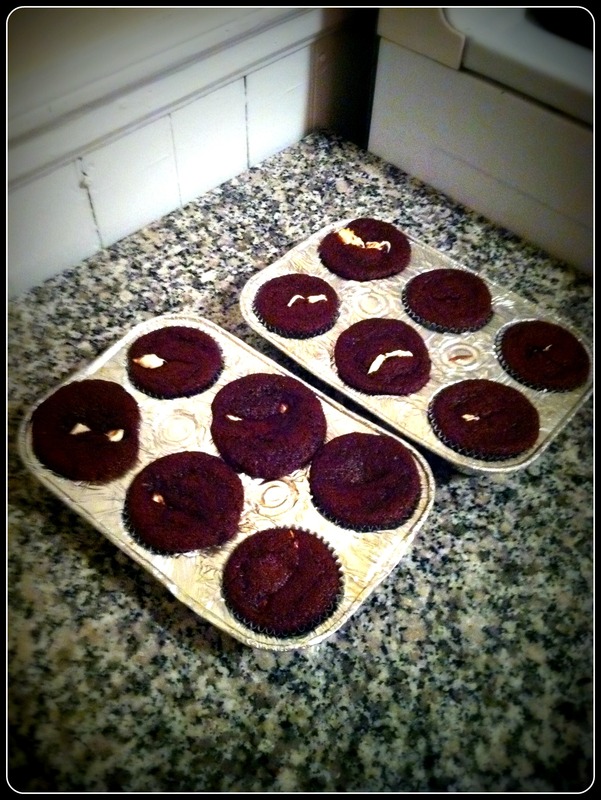 I used a regular mix for the cupcakes…nothing particularly special or challenging. I grabbed some fat free cream cheese and mixed it with a little sugar and vanilla. Then I spooned about a tablespoon on top of the chocolate mix. Then you pop them into the over for about 20 mins. The chocolate cake actually bakes up over the cream cheese. Its pretty cool. When they come out of the oven the majority of the cream cheese is hidden. They’re not especially pretty…but you can hide it with frosting and you can minimize the mess by being a little neater when adding the cream cheese. 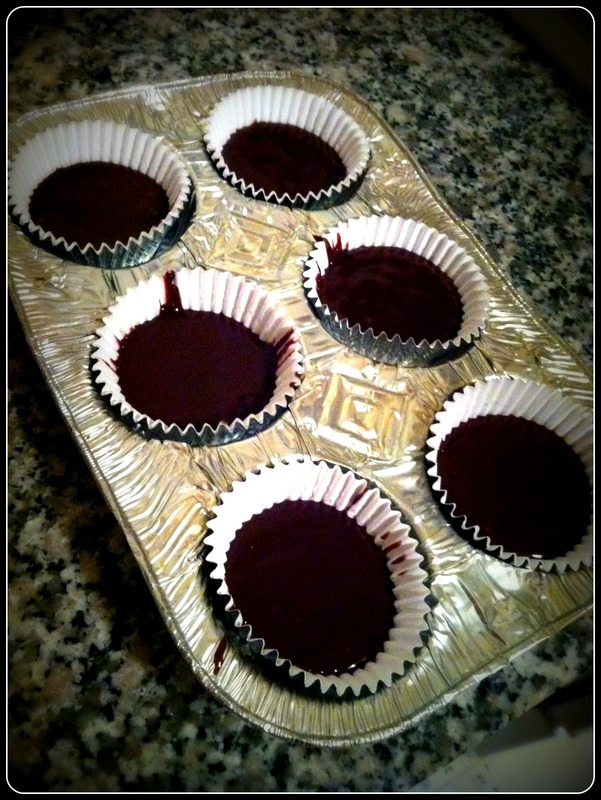 I frosted them with some regular milk chocolate frosting. I never feel very bad about using store bought frosting because let’s face it, Betty Crocker has it pretty much figured out. I topped it with a splash of colored sugar. 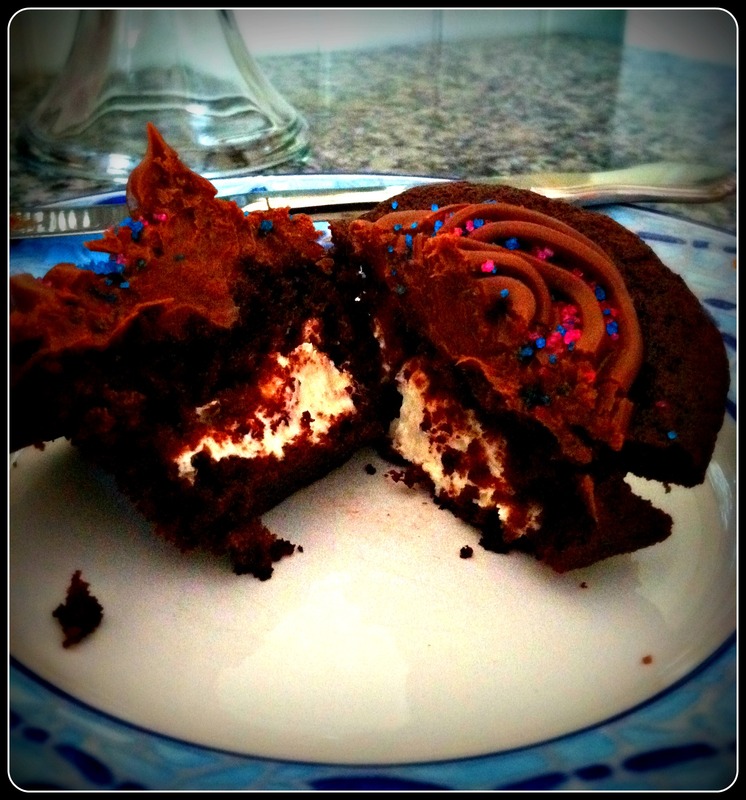 And then when you eat them they have some tasty cream cheese filling inside! Really easy and extra yummy.